In addition to the active role, Dr Elvira Bolat took in supporting the BBC One Panorama research team and the editor, Jamie Hamilton, in preparing the latest episode titled, Million Pound Selfie Sell Out, she has also been interviewed by The Times journalist, Kaya Burgess. The Times article titled ‘Instagram life is far from a pretty picture, insist bloggers‘ talks about the true reality of shiny and glossy lifestyle portrayed by the influencers online with less glam and numerous negative effects on mental health the bloggers/vloggers live with. In addition, the article features one of the Bournemouth Bloggers – Emma Longden, who confirms that being a micro-influencer comes with side effects and pressures, many are not aware of. Beyond this particular interview, but in numerous media interviews and providing insights to the Panorama research and editorial teams, Dr Bolat emphasised that the ecosystem of influencing marketing is much more complex. She highlights that, with the presence of brands and businesses in such an ecosystem, responsible business practices should be shaping the future of influencer marketing. Influencer marketing is a fantastic phenomenon enabling social media users to express their creativity, connect with various audiences and serve the social purpose. However, as it stands it became a powerful financial engine to further foster consumerism and, beyond that, harm not only followers but creators of content, who no longer have control, passion, and purpose with their social media storytelling. In December 2018 BBC World Service has broadcasted its new documentary titled “When you tire of tech”. The documentary is presented by Ana Matronic who explored dangers associated with tech addiction and what is done currently to minimise our over-reliance on tech. The documentary features the interview with Dr Elvira Bolat, who comments on intimate relationships tech users have with their devices and social media. This interview is underpinned by various studies Dr Bolat has carried out to understand the usage of mobile tech and social media by consumers and businesses. It is also reflecting on the latest research discoveries around social media influencing and the dark side of relationships between social media leaders and followers – work co-authored with Dr Parisa Gilani and BA (Hons) Business Studies with Marketing graduate, Cladia Wilkin. Do listen to the podcast and tune in to discover what Dr Bolat has said [12:35]. Sustainability and consumer trust go hand-in-hand. Organisations need to understand what drives trust and how to build trust if they are to achieve sustainability. This was the message that Associate Professor Julie Robson delivered as part of her keynote presentation at the LIGUE (Laboratoire Interdisciplinaire en Gestion Université-Entreprise) in Carthage Tunisia. This presentation builds on the trust repair research supported by BU QR funding and undertaken within the Faculty of Management. 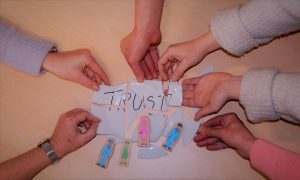 The project examined how trust repair differs from trust building and the use of different mechanisms to restore trust, particularly after a scandal or crisis. Details of the project and team members can be found here. This conference was hosted by the University of Manouba, Tunis and supported by the Academy of Marketing B2B SIG. The theme was sustainability goals in the era of digitalization in North Africa and was attended by academics and practitioners from the MENA countries. We are extremely delighted to host this year’s 17th Congress on Public and Nonprofit Marketing. The International Association on Public and Nonprofit Marketing (IAPNM) is a nonprofit professional society established in 2002 looking for a stable networking platform for academics and practitioners from marketing or other related disciplines who are concerned with or interested in these knowledge fields as well as in any other issue dealing with responsibility in businesses, administrations and nonprofits. 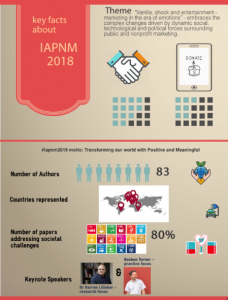 IAPNM aims to contribute to establishing an integrated, responsible and sustainable socio-economic development model worldwide. 17th IAPNM annual congress is hosted by the BU Business School’s Department of Marketing and is taking place on 6-7 September 2018 at the Executive Business Centre. From analysis of the influencing factors that affect the Generation Z’s milk consumption habits, hand washing campaigns, food waste to motivations of businesses to engage with charities – there is so much to hear and learn about. Following three successful conferences in Paris, France (2015, 2016) and St. Gallen, Switzerland (2017), we are pleased to announce that the 4th International Conference for Marketing in the Insurance industry (ICMI) will be held at the Executive Business Centre, Bournemouth University on the 13th and 14th September 2018. ICMI is the annual conference of the Association for Insurance Marketing (AIM) which serves as the primary platform to promote research in the field of insurance marketing. Though many academics have investigated marketing related topics in the financial sector, the insurance industry has largely been ignored. In addition, academic accounts of the insurance industry have generally focused on risk, investment and actuarial issues rather than marketing and consequently research that considers the idiosyncrasies of marketing in the insurance industry is urgently needed. ICMI papers will cover a diverse range of insurance marketing topics including the challenges of multi-channel distribution; claims management and fraud; supply chains and ecosystems; and trust and big data. The programme includes papers from FoM and FMC doctoral students and also past and current students on the MSc Professional Development (Loss Adjusting) course. Further information about the conference can be found here or contact the chair, Associate Professor, Julie Robson. We, Elvira Bolat and Parisa Gilani, are quite pleased to see the article, published by the Conversation on 7th August, quickly picked up by Mark Bridge, technology correspondent of the Times. Article titled “It’s depressing to be slightly influential on social media” was published both in online and paper versions of the major national newspaper on 9th August. Dr Parisa Gilani was interviewed prior to the publication and addressed all questions of the correspondent. It is critical to highlight that the research itself is based on BU’s BA (Hons) Business Studies with Marketing final year student Claudia Wilkin’s research project. Although the CEL-funded co-creation project focused on understanding what makes social media influencers successful businesspeople, one of the finding was quite fascinating and contributing to literature around FOMO, cyberbullying and leader-followers relationships. As Mark Bridge noted, there is a need for responsible behaviour and actions within online space and as most of us consume content online, we need to be much more thoughtful on how we express our reactions to various types of content. 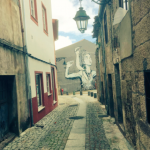 I just came back from a beautiful place in Portugal, Covilhã, where I went to deliver teaching to the Department of Management and Economics (Faculty of Humanity and Social Sciences, UBI) students. 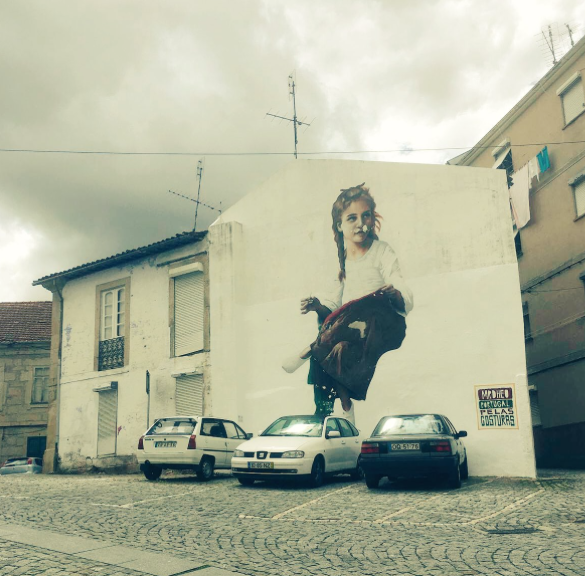 Covilhã is a city surrounded by mountains. 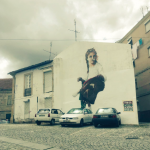 It is because of its location, access to water and forest, the city was chosen as the Portugal’s centre of wool and fabrics making. 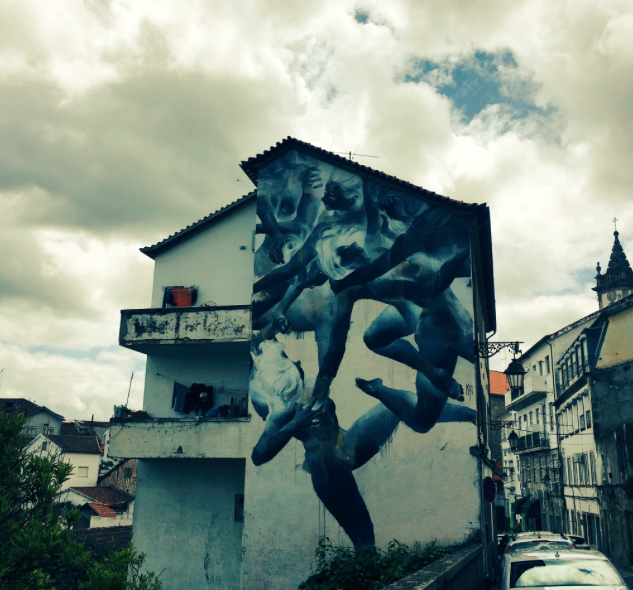 In fact, Covilhã used be known as Portuguese Manchester. 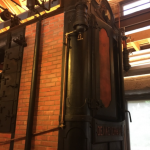 However, industrial crises led to a close of numerous factories, with these that are left operating now mainly producing wool for export purposes. 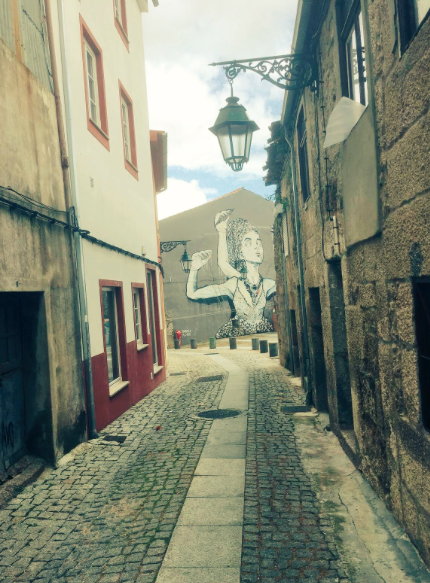 Streets of Covilhã are continuous reminder of its heritage and history via unique street art. UBI is a public university that was established in 1973 as Polytechnic Institute (hence very similar to BU). 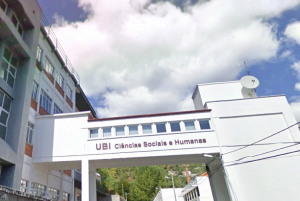 Currently, UBI hosts more than 7000 students who study across five faculties, Arts and Letters, Sciences, Health Sciences, Human and Social Sciences, and Engineering. 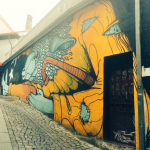 The BU-UBI Erasmus staff exchange partnership was first established by Professor Chris Shiel back in 2010. As it stands both institutions have not extended the partnership to cover student exchange because up until now UBI has not delivered their content in English. 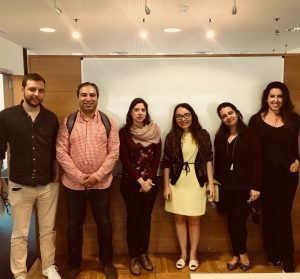 While teaching digital marketing to both undergraduate and postgraduate students, I have met many Erasmus+ exchange students who came to UBI from Bulgaria, Poland, Spain and Brazil. Majority of students expected teaching delivery in English and for this reason, as well as increasing interest towards UBI from EU students, from September 2018 the Department of Management and Economics starts delivery of their business and management courses in English. In light of such positive improvements, it is worth for us reviewing our Erasmus partnership with UBI. 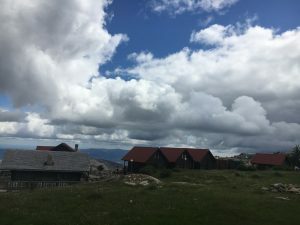 Back to main focus of this post: this teaching opportunity was my first experience of teaching outside the UK and Russia, and first experience of engaging with Erasmus+. My teaching content and learning outcomes were agreed prior to the visit. I was down to teach aspects of e-commerce [I decided to talk about Headless Commerce instead] to final year BA (Hons) Marketing (1st cycle programme) students and digital marketing communications to MA Marketing (2nd cycle programme) students. In both cases students had not covered the topics previously so my aim was to introduce these, explain basics, critique applications and instil interest to read further. 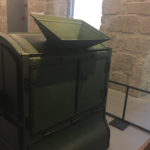 I did, however, felt nervous about the language, the pace of teaching and students’ understanding of concepts which might not have been applicable to the context of Portugal. All these fears disappeared as soon as I went to the classroom, saw students and started teaching. Both UG and PG students were extremely engaged with the content. In fact they were complimentary of visual images and infographics. Students engaged in discussions as they could easily apply theory to practice and share examples of social commerce or search engine marketing from personal experiences. In fact, I experienced what I could call a teaching co-creation process that benefited both I and students. Students learnt from my UK-based examples and I have learnt so much from students on how digital marketing is done in Portugal. 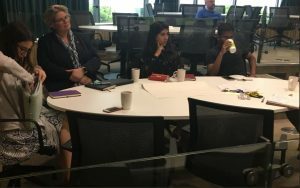 Together we debated nuances of newly implemented GDPR – this sparked so much interest. Being an advocate of digital pedagogy via extending classroom engagement to social media spaces, I had to offer an opportunity to UBI students to connect with me on Twitter, Facebook and LinkedIn. Many of them were surprised and connected immediately. Strangely UBI academics were asking me about this as they were surprised how quickly I persuaded students to engage. I shared with UBI academics few links to BU’s TEL videos and they were quite intrigued by an institution wide initiative to encourage use of educational technology to enhance student experience. 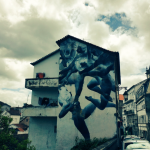 Having spent five days within UBI’s walls (28.05.2018-1.06.2018), I managed not only to deliver teaching but also network with UBI’s academics, present my research (in particular recently accepted research paper on deployment of mobile technology by creative B2B SMEs and its impact on service innovation practices) and deliver a session on netnographic methodology to UBI’s academics and PhD researchers (some of whom came to Covilhã from Brazil). Finally, as somebody who now lives and breathes Fusion my visit could not be all about teaching. 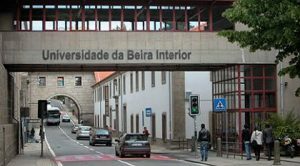 In relation to a joint BU-UBI research, Dr Arminda do Paço and Dr Helena Alves are now working with me on two projects, (1) trust and communication, linked to the Faculty of Management QR-funded project on Trust Repair; and (2) circular economy – a comparative study of consumers’ perceptions in the UK and Portugal. Work on both projects is at the conceptualisation level with the team planning to seek an ethics approval in July and commencing data collection by end of July 2018. 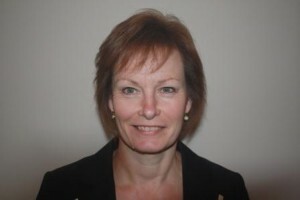 To keep up to date with developments connect with me on Twitter or read my work on ResearchGate. 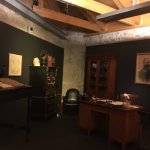 In relation to professional practice linked to future research and education, I was privileged to visit the UBI’s Wool Museum. It has been an amazing experience to hear all about sustainable manufacturing and business practices adopted by wool making factories, practices which are challenged by fast fashion and postmodern consumerism. Sustainability is one of the UN’s, EU’s and the UK’s key research areas. Dr Arminda do Paço and I are now discussing potential to work on joint research involving industrial partners as well as opportunities to organise international field trips for BA Business Studies, BSc Marketing and BA Retail Management students. In conclusion, this week in Portugal was busy and at the start nerve wrecking, but overall extremely positive and led to many more exciting opportunities for BU and UBI to foster our partnership, work on international research, share best practice in teaching and learning and meet again in a sunny Bournemouth this September. 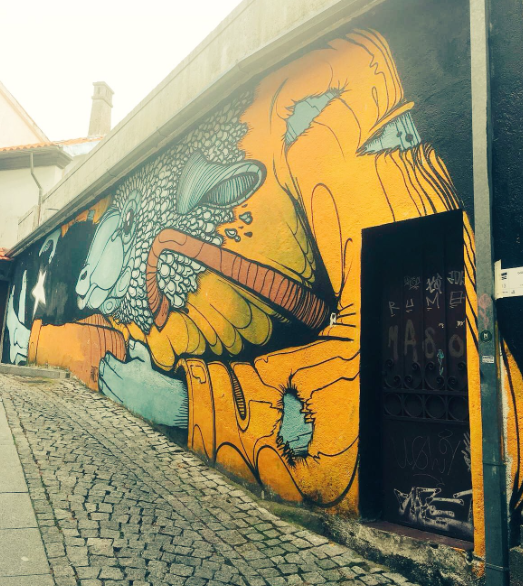 If you wish to experience something new, share and enhance your teaching practices, I would highly recommend to apply for the Erasmus+ Staff Mobility Teaching funding. (1) Food waste – this project has received a BA Leverhulme research grant to explore consumer-led strategies for combating the problem of overstocking food. It is astonishing to see some facts and figures around household food waste and learn that the UK is one of largest offenders in this domain. 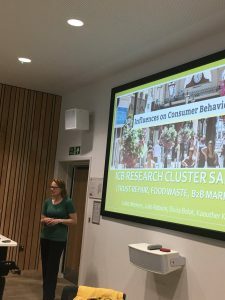 Led by Professor Juliet Memery this research project seeks to understand what consumers do and can do to minimise food waste. 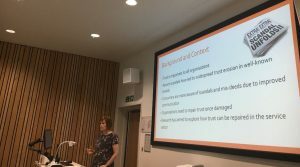 (2) Trust repair in the services context – this project, led by Dr Julie Robson, Associate Professor in Marketing, explores how consumers have reacted to recent transgressions that have affected different service providers, and how businesses in these cases have responded to scandals. Several outputs are in development with numerous conference presentations delivered and journal papers in the pipeline. Moreover this project, in addition to a substantial internal research funding, has secured external funding from the Academy of Marketing. (3) B2B marketing – is the research field led by Dr Kaouther Kooli. She, together with Dr Elvira Bolat, leads the B2B Special Interest Group of the Academy of Marketing. B2B businesses are the greatest contributors to economic prosperity and in fact the majority of businesses work within complex ecosystems of multiple business players. Interestingly B2B research is hardly covered by the majority of marketing journals and represents an area of enormous research potential that can generate much needed impact for practitioners. This particular project that discusses challenges faced by B2B firms due to digitalisation and ‘poor’ or non-existent branding practices has delivered two special issues with Journal of Business and Industrial Marketing and Journal of Customer Behaviour. Bournemouth University’s academics are now working closely with creative industries practitioners, Institute of Direct and Digital Marketing, and Regent’s University in London to initiate and drive change in B2B branding. All three projects have attracted internal and external funding and have a series of outputs which will lead to impact case study conversions. On 16th May ICB kicked off its small series of research sandpits to seek further expansion of the three research projects’ impact. First an overview of the current projects was presented. Next, academics from the Faculties of Management, Science and Technology, Media and Communications together with a few local practitioners split into three roundtable (research teams) discussions – to elaborate on potential future research agendas across the three strategic projects. Two-three research directions and suitable external funding opportunities as well as research dissemination plans were identified by each roundtable research team. We are planning to monitor progress of each research team and communicate success stories. At this point we are planning the second ICB research sandpit – please keep an eye on the Research Blog for further details. 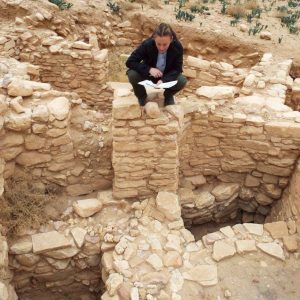 How did an archaeologist become a Research Assistant in the Faculty of Management? My name is Shannon Birch-Chapman and I am currently a Research Assistant in the Faculty of Management at Bournemouth University, working on a QR funded project titled Trust Repair in the Service Sector. 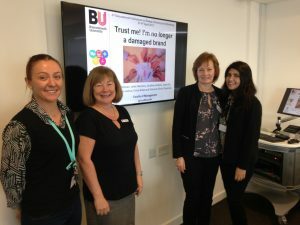 Our team is investigating how organisations can repair trust following trust erosion, focussing on three highly publicised cases: 1) the treatment of staff at the main Sports Direct Warehouse in Derbyshire; 2) the Alton Towers rollercoaster crash that caused two women to have leg amputations; and 3) the mis-selling of PPI by banks. These are diverse case studies with different causes and severities of trust erosion and as such, our team consists of people with diverse backgrounds: two in finance (Dr Julie Robson and Samreen Ashraf), two in leisure and hospitality (Dr Caroline Jackson and Dr Elvira Borat), two in retail (Prof Juliet Memery and Dr Jason Sit) and me: an archaeologist! Figure 1. Excavating on the Bournemouth University Durotriges Project in 2013. “How did an archaeologist become a Research Assistant in the Faculty of Management?” I hear you ask. Well, as any archaeology graduate knows, finding steady employment in archaeology following your degree (or in my case, an undergraduate degree, an honours degree, a masters and a PhD!) is almost impossible. The great thing about studying archaeology is that we learn a wide range of transferrable skills and are particularly good at sifting through large volumes of quantitative and qualitative evidence, and synthesising this to make informed conclusions. We are essentially the detectives of the past and, as such, make meticulous researchers. Figure 2. Surveying the architectural remains at the Pre-Pottery Neolithic site of Ba’ja in Jordan in 2015. In this project, I have put my previous skills to good use, conducting literature searches; compiling and writing background information for our case studies, conference presentations and journal articles; devising the conceptual framework and hypotheses for our project, and linking these to the current theories; analysing data; and writing and presenting results. I have also developed several new qualitative research skills, particularly relating to the gathering of data through consumer focus groups, stakeholder interviews and questionnaires. As someone who had never done qualitative research of this kind, it was an interesting process working out how to devise the right questions to ask. I hadn’t ever given much thought to how much effort goes into constructing these and analysing the outputs. One of the most challenging and rewarding aspects of the research to date has been learning how to use NVivo: a program for analysing qualitative data. Our team attended a two day workshop with Ben Meehan from QDA Training, which was tailored for our project. It was then my job to ‘code’ and analyse the data from the consumer focus groups and some of the stakeholder interviews. I used a combination of template and thematic approaches, whereby participant responses were ‘coded’ into pre-existing and emerging themes. The themes related to definitions of trust, the cause and severity of trust erosion, specific trust repair strategies and the success of these for trust repair. Running queries on the coded data, we were able to determine the trust repair strategies that were most successful for each of our three case studies. 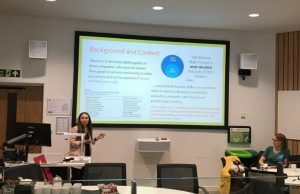 The project started around February this year and we have already had the opportunity to present our research at the 3rd International Colloquium on Design, Brand and Marketing (ICDBM) in April and at Bournemouth University’s Festival of Learning in July. We are presenting at the 3rd International Colloquium on Corporate Branding, Identity, Image and Reputation (COBIIR): Current and Future Trends, Developments and Challenges in September and have two journal articles in preparation. We are hoping that our results will guide best practice in industry and the team will be looking to work more directly with practitioners in the next stage of the research. Figure 3. Presenting at the ICDBM conference in 2017 (left to right: Shannon Birch-Chapman, Caroline Jackson, Julie Robson and Samreen Ashraf). Bolat, E., Robson, J., Ashraf, S., Birch-Chapman, S., Sit, J., Memery, J. and Jackson, C., 2017. 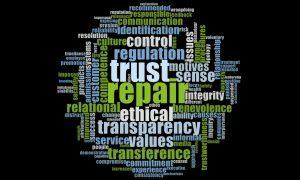 Corporate brand rehab: Diagnosing trust repair mechanisms in the service sectors. Paper to be presented at the 3rd International Colloquium on Corporate Branding, Identity, Image and Reputation (COBIIR): Current and Future Trends, Developments and Challenges. 7th-8th September 2017. Robson, J., Memery, J., Jackson, C., Sit, J., Bolat, E., Ashraf, S., Birch-Chapman, S., 2017. Trust Me: I’m no longer a damaged brand. Paper presented at the 3rd International Colloquium on Design, Brand and Marketing (ICDBM), Bournemouth University, 5th Apr 2017. Julie Robson (Department of Marketing) and John Toth (Department of Leadership, Strategy and Organisation) have recently published a new text on customer service and ethics. The book focuses on the insurance loss adjuster market and is believed to be the first to provide the reader with an understanding of the importance of good customer service and sound business ethics in a loss adjusting context. Customer service topics include when customer service takes place, its benefits and different forms; how to measure and manage service quality, including response to complaints; and the impact of the Consumer Rights Act 2015 and the FCA’s Treating Customers Fairly. Business ethics topics includes the ethical theories, ethical decision making and ethical dilemmas; in addition, the text explores how ethical organisations are built in a diverse and global environment, including aspects such as corporate governance, corporate social responsibility and whistleblowing. Produced in association with the Chartered Insurance Loss Adjusters (CILA) and published by Witherby Publishing Group the text is recommended to students undertaking CILA professional examinations. Dr Julie Robson (based in FoM) has had her article ‘ Senior management perceptions of aspirational groups: A study of the UK general insurance market’ published in the Journal of Business Research. The paper, co-authored by Professor Hans van der Heijden at the University of Sussex, draws insight from consumer marketing on aspirational groups to explore the composition and structure of aspirational groups compared to strategic groups in a market setting. The findings contribute to knowledge on strategy formation by highlighting the important role aspirational groups play in understanding competitive market movements.